Door County Realtors we can help you present your Door County properties to a targeted regional and national audience. 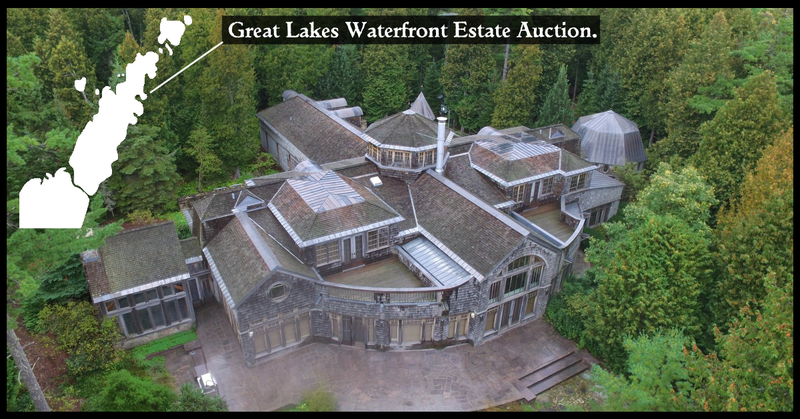 Recently we helped market the mansion in Baileys Harbor that was up for auction. Lead generation. With our national digital campaign we brought this property lots and lots targeted traffic. In 15 days we brought more then 4,200 visitors to this properties aution site. Ads were presented through the Door County Social Network with over 32,000 opt in DC fans nationwide. And in this case a audience of high level income earners (over 500K) and high net-worth individuals. We know how many high net-worth families use private aviation and approx. how many of them visit DC a year, so thos demo was also targeted for this campaign. We can present ads for any property any in price range to an audience interested in Door County filtered by numerous variables. We can also introduce your property to people that match the targeted audience but haven’t heard of Door County yet! Knowing that 99% of Door County lovers aren’t here 99% of the time we suggested you reach outside the county with these incredible marketing tools and products we offer. Our products are priced right. Currently, Our one week targeted one interatcive ad in only $99. Currently, Our deep one week targeted and filtered six ad combo product is only $299. Contact us today and get your listings in front of the right audience. We were born digital and have the orignal and one of the biggest opt in Door County fan bases out there. Reaching about 10X as any local radio station and about 3x the local paper.